As a leader in bath technology, Kohler takes pride in making every bath a safe, comfortable and therapeutic experience. Learn more about our hydrotherapy technology and research. Hydrotherapy has been utilized for centuries to treat and relieve pain, and provide a relaxing environment that promotes spiritual and physical wellness. It is used as a module of healing in hospitals and medical treatment centers. Today, those same tools are available to use in your own home. Let Kohler Technology Turn Your Bath Into a Home Spa. Kohler’s bathtubs have evolved well beyond a basic soak. Our exclusive technology allows you to turn what was just a bath into time focused on you and your wellbeing. And it’s not just about water any longer. Our industry-leading tech uses bubbles and heat to add another element of therapeutic relaxation that you can experience at home. You will find Kohler’s creative use of tech everywhere from the multifunctional handshower to the fast-drain system. Our industry-leading tech uses bubbles and heat to add another element of therapeutic relaxation that you can experience at home. Stay cozy and comfortable before, during and after your soak with Bask® technology that keeps your back, neck and shoulders warm.keeps you warm. Strategically placed jets deliver powerful massage to the spine, loosening tight muscles and quieting the mind. Strategically placed jets deliver powerful massage to the front and back of calves and feet., loosening tight muscles and tired soles. Sit back and relax as thousands of tiny bubbles give you a sensation of weightlessness. As invigorating as a fizzy beverage, these massaging jets will energize and soothe you. Pamper your neck and shoulders with three spray settings, including a gentle setting for sensitive skin. Navigate through each number to see where the therapeutic module targets your body for ultimate relaxation. You can choose one or more hydrotherapy features that use air to massage, soothe, invigorate or relax your body and your mind – all controlled at the touch of button. Add a heated back to keep you warm even longer. 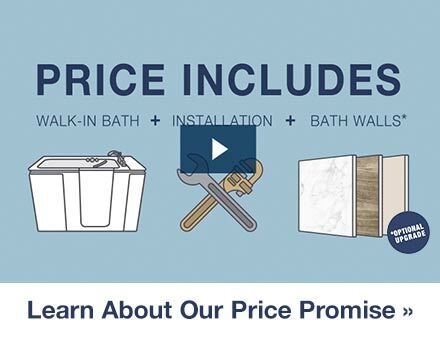 The KOHLER® Walk-In Bath features two hydrotherapy components that function to provide relief and relaxation either individually or combined. Delivering powerful, targeted massage, our whirlpool hydrotherapy jets are ideal for unwinding, relaxing and revitalizing. 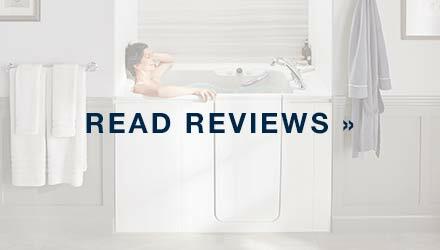 KOHLER® whirlpool jets adjust for precise positioning and massage intensity, so you can customize each bathing experience. to target stress points along your feet, legs and spine, releasing tension and soothing soreness. BubbleMassage™ hydrotherapy delivers thousands of champagne-like bubbles that wrap your body in an invigorating, blissful embrace. The effervescent bubbles thoroughly support and massage your body for a weightless, soothing experience. The strategic placement of the BubbleMassage air jets on the lower perimeter of the bath create a luxurious bathing experience that stimulates the release of muscle tension and helps center the mind. You will leave the bathtub feeling refreshed and pampered every time. How Many Jets Do I Need? number of jets in your bath is not as important as the placement, positioning and the quality of the jets. 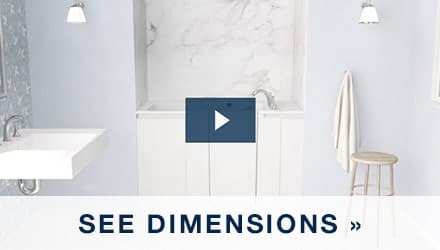 The KOHLER® Walk-In Bath features the optimal number of jets for both intensity and coverage to provide the best experience during your soak. At the Kohler Waters Spa, one of only 60 five-star spas worldwide, we infuse the same hydrotherapy technologies and techniques that we use in our products into our spa treatments. Harnessing the healing powers of water, the spa offers a full menu of Hydrotherapy Treatments, including massage, exfoliation and body wraps. An avid athlete at 61, Vivian wanted a spa-like experience at home to soothe sore muscles and help her recover between workouts. 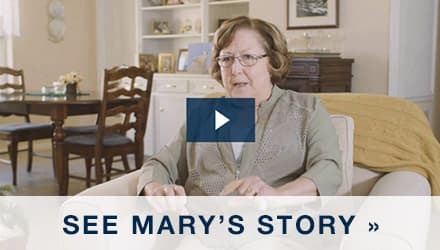 The rejuvenating effects of her hydrotherapy jets have allowed her to remain as active as she wants, both in her exercise regimen and daily routine. Vivian loves the soothing effects of her walk-in bath hydrotherapy jets, which help her remain as active as she wants, both in her exercise regimen and daily routine.